The first body fossils of trilobites appeared in the Early Cambrian Period, about 540 million years ago. 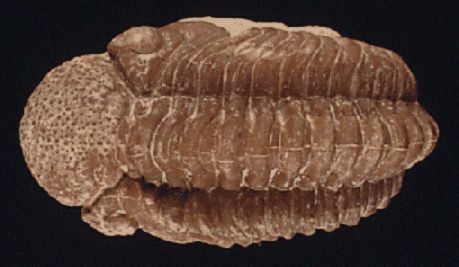 The trilobite pictured above is an olenellid (probably in the genus Nevadella) from the Early Cambrian of southwestern Nevada, a very typical trilobite in the Lower Cambrian of North America. It seems likely that trilobites were preceded by soft-bodied ancestors: at several localities, sedimentary rocks with trace fossils of trilobite activity underlie the oldest rocks with trilobite body fossils. 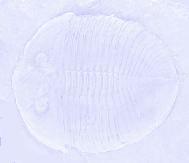 Trilobites underwent several radiations in the Cambrian; by the end of the Cambrian, about 500 million years ago, they were as diverse as they would ever be. In the Ordovician, trilobite lineages began to specialize, and diversity went down; it continued to drop in the Silurian and at the end of the Devonian. 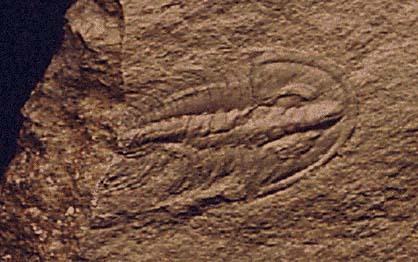 The trilobite pictured below, Phacops, is a typical Devonian trilobite, found in North America, Morocco, and elsewhere. In the Carboniferous and Permian Periods, trilobites became quite scarce, but they did not go entirely extinct until the end of the Permian, 245 million years ago, for reasons that are still not understood.